The Courtyard by Marriott Vicksburg is centrally located in historic Vicksburg. The City of Vicksburg is rich in history with Civil War sites, Antebellum Homes, Multi-Cultural Diversity, and traditional cuisine and music. 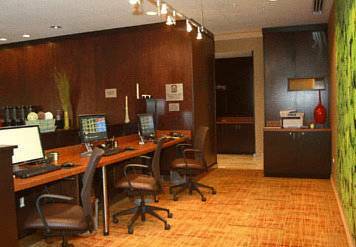 The Courtyard by Marriott Vicksburg is an award winning hotel. The hotel received the Chairman's Award and Platinum Award for it's high quality of guest service. The Courtyard by Marriott Vicksburg offers travelers the highest level of accommodations and amenities with state of the art facilities. Each guest is treated to an "over the top" experience at the Vicksburg Courtyard. Business and leisure travelers enjoy the conveniences of home and office while taking advantage of the Vicksburg National Military Park, the Mighty Mississippi River, and Casinos. The Courtyard by Marriott Vicksburg is located near Cooper Lighting, Batesville Casket, Ergon Refinery, International Paper, River Region Health System, Grand Gulf Nuclear Plant and The Outlets of Vicksburg.